Subject: Concerns around the Human Papilloma Virus (HPV) vaccine. We, the undersigned, public health organisations, health networks, medical professionals and women’s groups, write to express our concern with regard to the introduction of the human papilloma virus (HPV) vaccine, Gardasil, to young girls in the country. On July 9, 2009 under the demonstration project being implemented by the union ministry of health and family welfare in association with the Indian Council of Medical Research (ICMR), PATH International and the state government, the Andhra Pradesh minister for health and family welfare launched a pilot programme for vaccination against cervical cancer. The three doses of the HPV vaccine are to be administered to 16,000 girls between 10 and 14 years in the mandals of Bhadrachalam, Kothagudem and Thirumalayapalem in Khammam district in Andhra Pradesh (1). The vaccine will be administered in three doses at the interval of 0, 2 and 6 months. Similarly, on August 13, 2009, the Gujarat government launched a two-year ‘Demonstration Project for Cancer of the Cervix Vaccine’ in three blocks of Vadodara District – Dabhoi, Kawant and Shinor – to immunise 16,000 girls between 10 and 14 years with three doses of Gardasil. The Gujarat state minister for health and family welfare claimed that this demonstration project would help the Centre to examine the possibility of introducing the vaccination project across the country (2). * Information about the efficacy of Gardasil remains uncertain. The current HPV vaccine prevents infections, resulting from just two of the HPV subtypes (16 and 18) that may cause cervical cancer, and also HPV subtypes 6 and 11 that can lead to genital warts. The subtypes 16 and 18 account for 70% of the cases of invasive cervical cancer globally (3). But there are over 100 HPV subtypes and one of the main concerns is that if the vaccine was to work and indeed “block” subtypes 16 and 18 then the other carcinogenic subtypes may become dominant. * There is lack of conclusive data regarding the length of immunologic protection that the vaccine confers against HPV subtypes 16 and 18 (4). Studies so far have followed up with the vaccinated “subjects” for five years and have shown that it offers protection only for five years. Thus it is not clear whether protection lasts longer than this time period. Since the long-term efficacy of and protection by the vaccine is unknown we cannot claim that even 60-70% protection will be achieved. Moreover, since the highest incidence of cancer of the cervix in India is in women above 35 years of age, it is not clear whether a three-dose schedule will provide long lasting immunity or if boosters will be required. * If booster doses are needed, and it is not known how frequently, what will be the impact of the booster doses on the safety of the vaccine? Moreover, booster doses would certainly increase the cost of vaccination per woman as many times as the booster would be given. * HPV vaccination is not a substitute for cervical cancer screening. All women, including those who are vaccinated, should continue to have regular Pap test screening and also HPV test as the preventive effect of the vaccine on cervical cancer has not yet been demonstrated. * HPV infection rarely leads to progression to cancer. Only a minority of infections persist for several years, and only about 10 per cent of low-grade lesions progress to a higher grade. About five per cent of high-grade lesions progress to invasive cancer (5). 1. The Federal Vaccine Adverse Event Reporting System (VAERS) in the United States has logged a total of 12,424 adverse events following HPV vaccination, according to the US Centers for Disease Control and Prevention. Between June 2006 through December 2008, more than 23 million doses were administered in the US alone. 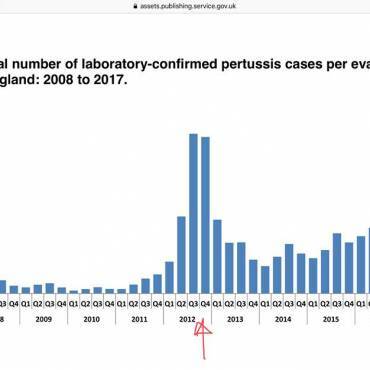 Of these, 772 were reports of serious events (6.2% of the reports) including 32 deaths and the remaining 11652 (93.2% were classified as non-serious. The most common events reported were, syncope, local reactions at the site of immunisation (pain and redness), dizziness, nausea and headache(6). Venous thromboembolic events, autoimmune disorders, Guillian Barre Syndrome, motor neuron disease, anaphylaxis, transverse myelitis, pancreatitis and death were amongst the serious adverse events reported. Amongst reports of autoimmune disorders to the VAERS system, 88% were associated with the HPV vaccine alone (7). 2. In Australia, the rate of anaphylaxis shock after Gardasil injection has been reported as 2.6 per 100,000 doses (8). 3. The official Gardasil website itself clearly mentions, “GARDASIL may not fully protect everyone, and does not prevent all types of cervical cancer, so it’s important to continue routine cervical cancer screenings. GARDASIL does not treat cervical cancer or genital warts.” The side effects listed include, pain, swelling, itching, bruising, and redness at the injection site, headache, fever, nausea, dizziness, vomiting, and fainting. Sometimes fainting is accompanied by falling with injury, as well as shaking or stiffening and other seizure-like activity (9). 4. The Indian Academy of Pediatrics Committee on Immunization (IAPCOI) in its recommendations mentions that the vaccine is contraindicated in those with a history of previous hypersensitivity to any vaccine and should be avoided during pregnancy (10). Moreover, there have been no adequate and well-controlled studies in pregnant women, and animal reproduction studies are not always predictive of human response (7). Moreover, while this data is mostly sourced from US-based research and trials conducted in other countries, the adverse reactions in the Indian context are unknown. Thus, the approval of a vaccine that claims to prevent a sexually acquired infection that sometimes causes cancer of cervix, and that too only if vaccination is completed before exposure, is highly questionable. * The current cost of the vaccine is Rs 3,000 per dose (approximately USD 60). So for every 10-year-old girl, three shots initially, and eight shots (assuming the need for a booster shot every five years) over the next 40 years (until she becomes 50). This would amount to Rs 33,000 by present estimates. Can the ministry afford an injection that costs Rs 9,000 for every woman in a country where we cannot give DPT (costing Rs 3) to 50 % of children of the country? * In a recent study from India, published in the New England Journal of Medicine (NEJM), 31,488 women (30 to 59 years old), were followed up over eight years with no intervention (in the control group). 64 died of cervical cancer. The absolute risk of cervical cancer was 2.5/10,000/year. If we optimistically assume that every case of cervical cancer will be prevented by the vaccine, the absolute risk reduction is 0.00025 and the number of women needed to be vaccinated to prevent one death is 4,000. So the cost per life saved is Rs 75 million (11). * A cost effectiveness study published in the NEJM in 2008 concluded that if the vaccine provided protection against HPV for only 10 years, then vaccinating preadolescent girls would only provide a “2% marginal improvement in the reduction in the risk of cervical cancer as compared with screening alone.” Moreover, it would cost USD 144,100 for each healthy year of life saved, instead of the USD 43,600 estimated for a vaccine providing life-long protection. Most researchers believe that even in the US, interventions costing more than USD 50,000 per quality-adjusted year of life (QALY) saved, are not cost-effective, while others use a higher ceiling of USD 100,000 (12). * Looking at our public health system, no government in India can afford this expense. The average per capita annual income in India in 2009 is Rs 38,000, while the current per capita annual public health expenditure in India is about USD 10. * Given this totally unfavorable cost-efficacy in the Indian context, we see no chance that this vaccine can be included in the Indian national immunization programme. Hence conducting such a demonstration project in India would mean using Indian people as mere guinea pigs. * Merck Sharp & Dohme (MSD) India Pharmaceuticals Private Limited, which is the Indian subsidiary of Merck & Co. Inc., the manufacturers of Gardasil, has also recently started a cervical cancer prevention programme that informs Indian women to help protect them against cervical cancer and related HPV infections. The programme’s tagline, “What will I do to save my daughter from cervical cancer? – Everything that I can!” (13), is uncannily similar to Gardasil’s tag line – “We chose to help protect ourselves against cervical cancer and other HPV infections: Now the choice is yours.”(9) Similarly, PATH, that supported the formative research for the HPV vaccine Gardasil in India, highlights the demand for the vaccine through quotes like “Our granddaughters’ generation should be a generation without cancer.”(14) In this way a false signal is sent out that claims that the vaccine can prevent cancer although Gardasil prevents cancer of cervix associated with just two types of HPV. * These advertisements induce fear with regard to HPV and cervical cancer and thus create an inaccurate impression of a “public health emergency”. * A 15-second commercial on Indian television urges parents to get their young girls inoculated with the vaccine Gardasil to protect against cervical cancer, Advertising prescription drugs on television is unethical enough, but using fear and inaccurate claims to sell them is worse (15). 1. The Government should review the decision to conduct a demonstration project of the HPV vaccine in the mass immunisation programmes in the absence of sufficient long-term evidence of its effectiveness and complete and unbiased information, and without any prior public debate. The huge cost incurred in this mass immunisation even if the current price of the vaccine is reduced substantially should be seriously considered. 2. The state initiates comprehensive access to reproductive and sexual health programmes / services for adolescents, women and men. * The focus should be on increasing access to preventive healthcare services such as Pap screenings, visual screening of the cervix with acetic acid (VIA) and Visual Inspection of cervix with Lugol’s Iodine (VILI). * Screening programmes should be augmented with newer technologies such as the use of liquid-based Pap testing in women, who have abnormal Pap test results. * Provide population-based outreach Pap screening services for cancer of cervix, particularly for women from the tribal and rural areas. * Undertake special measures towards promoting awareness among women and communities so that they come forward without any inhibitions to undergo such screening tests. * Instead of an expensive vaccination strategy, monitoring measures should be made available to detect cervical cancer at a very early stage. Treatment of all women with the diagnosis of cervical cancer in situ is likely to cost the public healthcare system much less than buying the vaccine. * Public health services be made available to all, with special emphasis on women’s health, by filling in the vacancies of gynaeocologists and para-medical workers and by providing basic screening facilities. 4. It is learnt that the union health ministry has signed a memorandum of understanding (MoU) with the US company Merck, covering the entire gamut of the trial and the launch in the country. As per the MoU, the pre-introductory trial will be carried out at several centres in the country, including the Institute of Cytology and Preventive Oncology (ICPO) (www.icpo.org.in) for a duration of six months. What is the status of these trials and if they have been completed, what are the results / findings? 5. Financial support from industry or from an international organisation should not be the criterion to introduce any vaccine in a pilot phase or in a universal immunisation programme. 6. The role of PATH is not very clear. It appears that PATH is trying to find ways of influencing policy makers through its formative research. 1. All trials and studies to be immediately brought to a halt till, in an open forum, questions relating to the safety, efficacy and cost effectiveness of the planned intervention can be justified. * All the documents pertaining to the agreement with vaccine manufacturers and all other bodies regarding the government’s plan to introduce the HPV vaccine. The list of all trials planned, proposed, approved and completed, the agencies involved, the donors involved and the proposed locations and all the results of the pilot phase trials as well as clinical trials. * The status of approval accorded to the vaccine and the data which has been submitted by the company (vaccine manufacturer) for the purpose. * The estimated total cost, as per the government’s assessment, of purchase of the vaccine and its administration. 3. A vaccine policy to be formulated based on public health needs. 4. Open up the issue for public debate with the opinion of health groups, women’s groups and other civil society members to be actively sought. We urge you to consider these demands very seriously and act upon this matter in the larger interest of the health and well-being of women and adolescent girls of this country. We ask you to provide the information and documents that we have requested within a month of the receipt of this letter. Dr Gopal Dabade, All India Drug Action Network (AIDAN); Medico Friend Circle (MFC); Jan Swasthya Abhiyan (JSA); All India People Science Network (AIPSN); Centre of Social Medicine and Community Health, Jawaharlal Nehru University (JNU), Delhi; Sama Resource Group for Women and Health, Delhi; Dr Y Madhavi, National Institue of Science Technology and Development Studies (NISTADS), Delhi; Jagori, Delhi; Dr Imrana Qadeer, Delhi; Dr N Raghuram, Guru Gobind Indraprastha University, Delhi; All India Democratic Women’s Association(AIDWA), Delhi; Action India, Delhi; Human Rights Law Network (HRLN), Delhi; Delhi Forum, Delhi; Centre for Women’s Development Studies (CWDS), Delhi; The Other Media, Delhi; TARSHI, Delhi; Partners in Law and Development (PLD), Delhi; MATRIKA, Delhi; Indira Chakravarthy, Public Health Researcher, Delhi; Ranjan De, film maker, Delhi; KRITI, Delhi; Dr Veena Shatrugna, Hyderabad, Andhra Pradesh; Dr Sagari Ramdas, ANTHRA, Andhra Pradesh; Andhra Pradesh Adivasi Aikya Vedika, Andhra Pradesh;Dr Rukmini Rao, President, Gramya Resource Centre for Women, Hyderabad, Andhra Pradesh; Yakshi, Hyderabad, Andhra Pradesh; Locost, Vadodara, Gujarat; SAHAJ, Vadodara, Gujarat; Utthan, Ahmedabad, Gujarat; Sahiyar, Baroda, Gujarat; Dr Hanif Lakdawala, Ahmedabad, Gujarat; Dr Hemant Shah, Deputy Director, Bhansali Trust, Radhanpur, Gujarat; Mahila Sarvangeen Utkarsha Mandal (MASUM) Pune, Maharashtra; Dr Anant Phadke, Sathi-Cehat, AIDAN, Pune, Maharashtra; SATHI-CEHAT, Pune, Maharashtra; CEHAT, Mumbai, Maharashtra; LABIA, Mumbai, Maharashtra; Forum Against Oppression of Women, Mumbai, Maharashtra; Ravi Duggal, Mumbai, Maharashtra; Dr Amar Jesani, Independent Consultant on Bioethics and Public Health, Mumbai, Maharashtra; Dr Lakshmi Lingam, Professor, Women’s Studies, Mumbai, Maharashtra; Dr Dhruv Mankad, Hon. Director, Vachan, Nasik, Maharashtra; Amitava Guha, FMRAI, Kolkata, West Bengal; Dr Narendra Gupta, Chittorgarh, Rajasthan; Drug Action Forum, Karnataka; Community Health Cell (CHC), Bangalore, Karnataka; Dr Daisy Dharmaraj, TEST Foundation, Chennai, Tamilnadu; Dr Subhashri, Chennai, Tamilnadu; North East Network, Assam; Dr Ajay Khare, Madhya Pradesh Vigyan Sabha, Bhopal, Madhya Pradesh; Jagannath Chatterjee, Bhubaneswar, Orissa. 2. Press Trust of India. Gujarat Launches Cervical Cancer Vaccine. 2009 Aug 13. 3. Schiffman M, Castle PE, Jeronimo J, Rodriguez AC, Wacholder S. Human papillomavirus and cervical cancer. Lancet. 2007 Sep 8; 370(9590): 890-907. 5. Prescrire International. 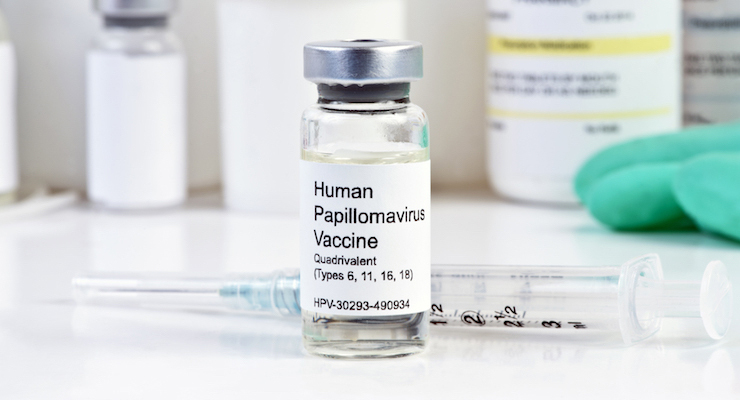 Human papillomavirus: often harmless but in some cases carcinogenic. Prescrire International. 2007 Jun 1; 16(89): 115-9. 8. Brotherton JM, Gold MS, Kemp AS, McIntyre PB, Burgess MA, Campbell-Lloyd S; New South Wales Health HPV Adverse Events Panel. Anaphylaxis following quadrivalent human papillomavirus vaccination. CMAJ. 2008 Sep 9;179(6):525-33.Cited in PubMed: PMID 18762618. 13. Maggon K, Djelouat S, Bhagia M. Gardasil (Merck) for cervical cancer and genital warts:Gardasil a quadrivalent HPV vaccine [Internet]. [cited 2009 Nov 26]. Available from: http://knol.google.com/k/krishan-maggon/gardasil-merck-for-cervical-cancer-and/3fy5eowy8suq3/89.